Arjuna – a great heart tonic used for the prevention and treatment of almost all diseases of the heart. This medicine is shown to strengthen the heart muscle, disorders in the heart valves, tachycardia, coronary heart disease. Arjuna also has hypotensive property that is used for the treatment of hypertension both independently and in combination with other medicines. Arjuna also indicated for stomach ulcers, polyuria, has astringent property that is used for bleeding, menorrhagia. Another advantage of this drug is its ability to regulate cholesterol in the blood. Indications: heart tonic, heart failure, ischemia, tachycardia, hypertension, rehabilitation after a heart attack infarction, gastric ulcer, polyuria, atherosclerosis, high cholesterol. Indications: heart failure, ischemic heart disease, any heart and pulmonary disease, hypertension, rehabilitation of patients after a heart attack infarction, painful palpitations, nervousness, mental stress, fatigue. Dosage: 0.5-1 tea spoon 2 times a day. In the preventive purposes the dosage can be reduced. Original title: Arjuna churna Nidco. 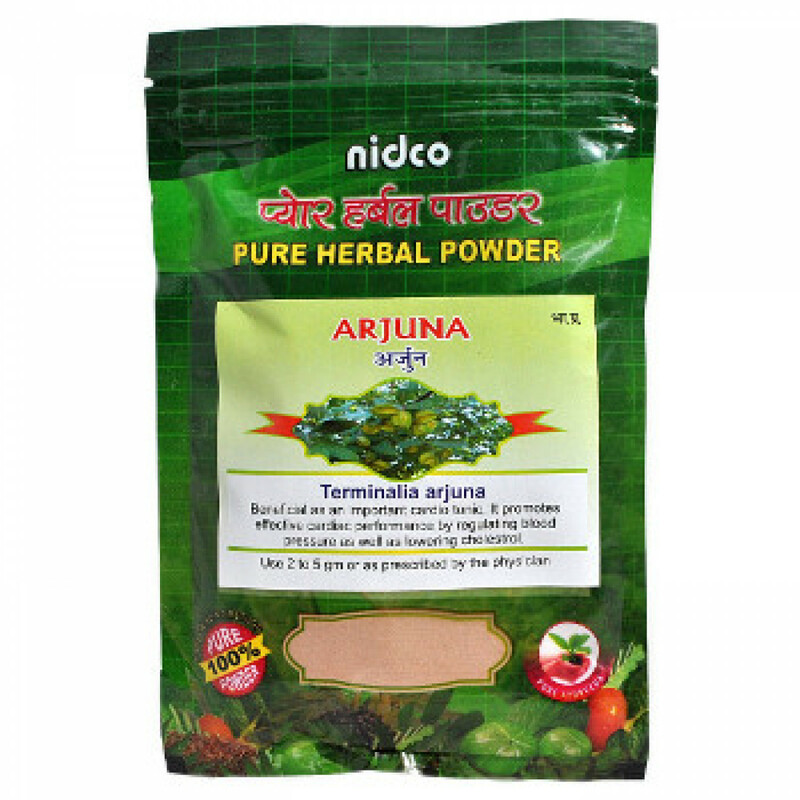 In our store You can buy original Arjuna churna Nidco at the best price!